The latter part of Richard Stentiford's life in Dawlish would have been dominated by talk of the coming of the railway. All manner of plans to extend the Paddington to Exeter line were drawn up in the 1830s but public imagination was caught by what turned out to be Isambard Kingdom Brunels' great failure - an atmospheric railway running from Exeter St. David's to Newton Abbot. The engineering work proved difficult and costly. 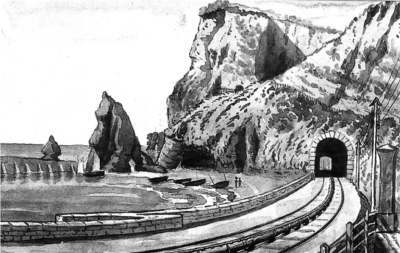 A wooden viaduct over the estuary at Cockwood, a spectacular series of tunnels between Dawlish and Teignmouth and the huge sea wall which Brunel was forced to build to protect his line took years; there were difficulties in obtaining suitable land between Teignmouth and Newton Abbot which meant that the original service terminated at Teignmouth until December 1846. All bad omens but worse was to come. 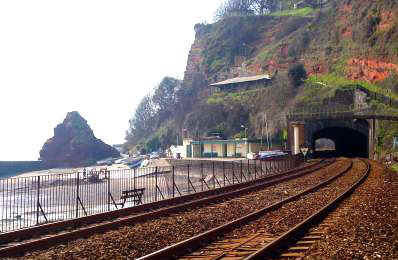 As Brunel mapped out the route for his line south of Exeter, he must have realised that because a coastal route was his preferred choice, steam trains would cause some anxiety in a newly-fledged health resort like Dawlish. An atmospheric railway required no locomotive and produced little noise with no smoke or dust. In addition, the route chosen had sharp curves and some fairly steep gradients so atmospheric propulsion would, in theory, produce greater adhesion. When Brunel brought the system to South Devon, it had only been tried out experimentally on two short stretches of line, one in London, the other in Ireland. As the picture at the top of the page shows, a pipe with a slit on the top of it ran continuously down the centre of the track - broad gauge at this time, of course. A piston in the pipe connected with an arm on the first carriage. 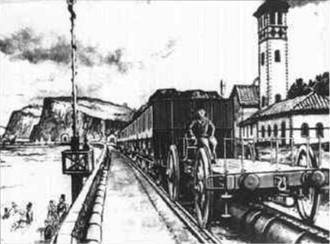 All the air ahead of the piston was sucked out of the pipe by pumps in pumping stations situated at intervals along the route and the resulting atmospheric pressure caused the train to move forward. 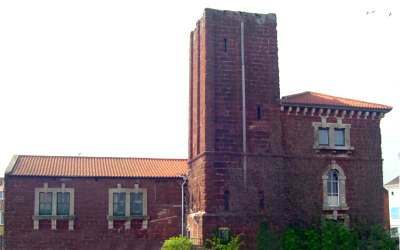 This is the last remaining pumping station. The top of the smoke stack became dangerous and had to be removed. Amazingly, sometimes the system worked. Records show speeds achieved that were incredible for that point in railway development - 60, even 70 mph in trials. At other times - too many other times - the system failed completely and the third-class passengers were expected to get out and push the carriages along the track to the next pumping station. Brunel never really solved the problem of halting the train at defined points like stations and, of course, the builders never took into account the problems they would encounter with salt spray from the sea just below the line. The trouble lay with the slit in the pipe which had to open as the train moved forward then close to create an airtight seal behind it. A well-greased leather flap with metal components was used to create the seal but continually failed because rats ate the greased leather and the salt spray corroded the metal components. The train is travelling from Dawlish towards Exeter. Even if these problems could have been resolved, with hindsight one can see that the project was always doomed to commercial failure because only one train could ride the track at any given time. The end came less than 12 months after the full service was launched, with the first frost of the winter of 1847/8. Brunel's line ran along the very edge of the coast on an embankment wall over which heavy seas beat relentlessly on the winter tides. The leather flaps, which in any case, had had to be replaced on a daily basis in a frantic effort to keep the line open, froze solid as temperatures plummeted, bringing the venture to an abrupt and final halt. The service returned with steam engines and conventional carriages and the days of the atmospheric railway were over. Brunel took full responsibility for what he always considered to be his own personal failure. 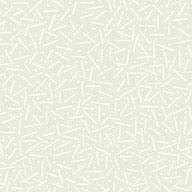 It was a personal loss too - he had invested much of his own money in the project for which he declined to take a fee. The original tunnel was enlarged to accommodate an up and a down line when the broad gauge track was removed. The rebuilt tunnel is now known as Kennaway Tunnel.